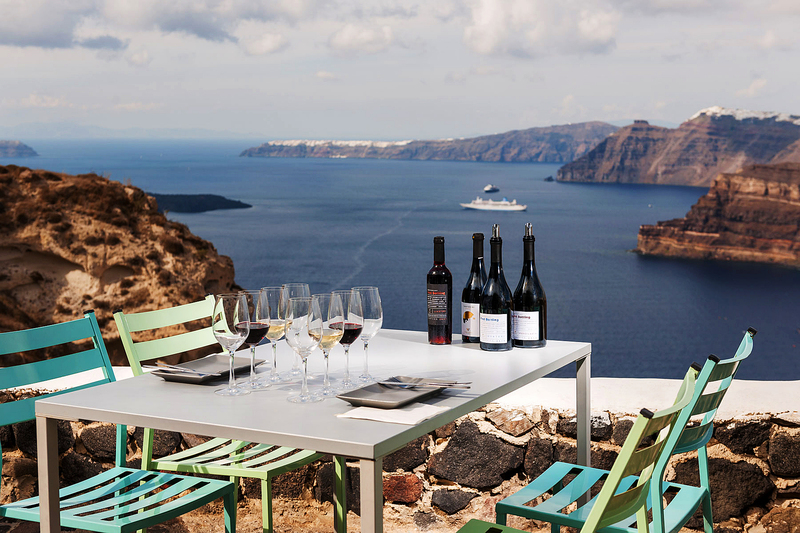 Santorini has a unique terroir that is acclaimed worldwide – the PDO Santorini – which makes it one of the most stunning island destinations for the wine connoisseur. The vineyards of Santorini are archaic, they are the soul of the island which have been routed into the ecosystem as a result of volcanic activity centuries ago. In 1971, the region received the recognition of the Protected Designation of Origin (PDO) for white wines mainly made with Assyrtiko, one of Greece’s most unique grape varieties and Santorini’s dominant cultivar. 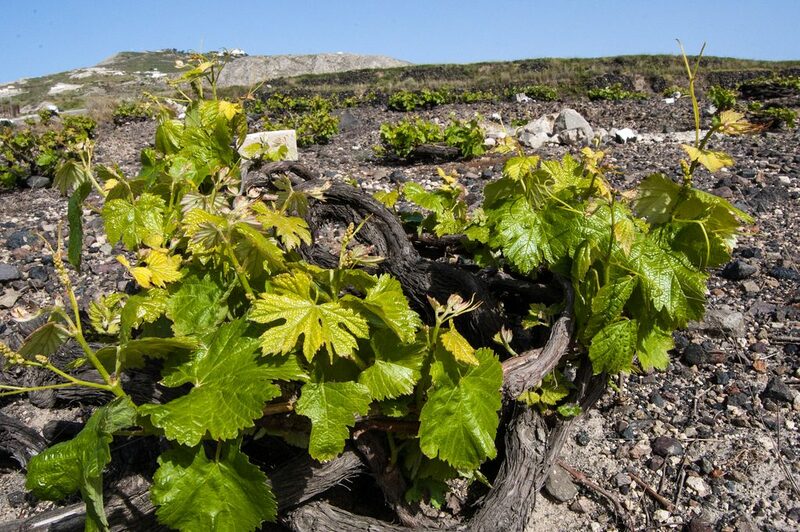 Perhaps the PDO Santorini vineyards have been blessed by Dionysus, the ancient Greek god of wine. 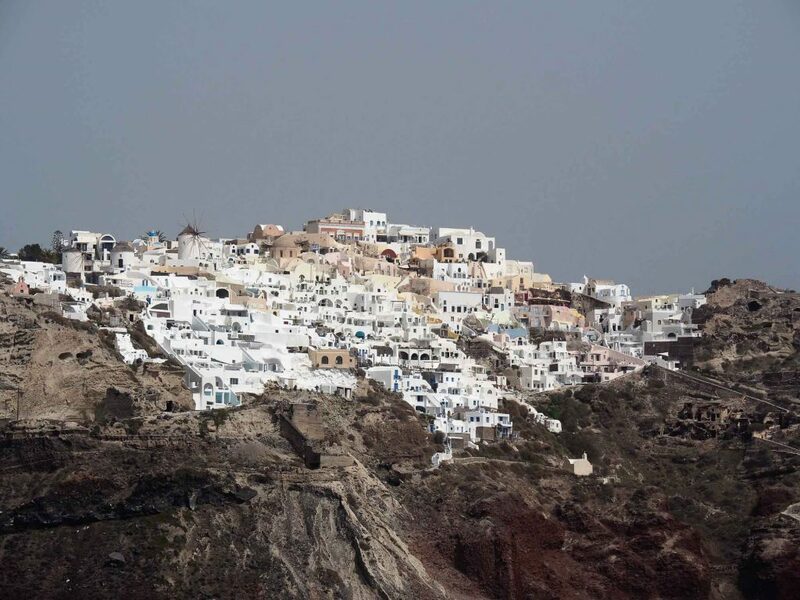 Somehow the Santorini ecosystem survived the effects of phylloxera, a tiny pest that almost wiped out Europe’s vineyards in the late 18th century. Today, there is more than a handful of winemakers on the island, fifteen to be exact, who are committed to the preservation of the island’s historical and dynamic grape variety which managed to withstand the two vine diseases that reached Europe from the U.S. over a century ago. 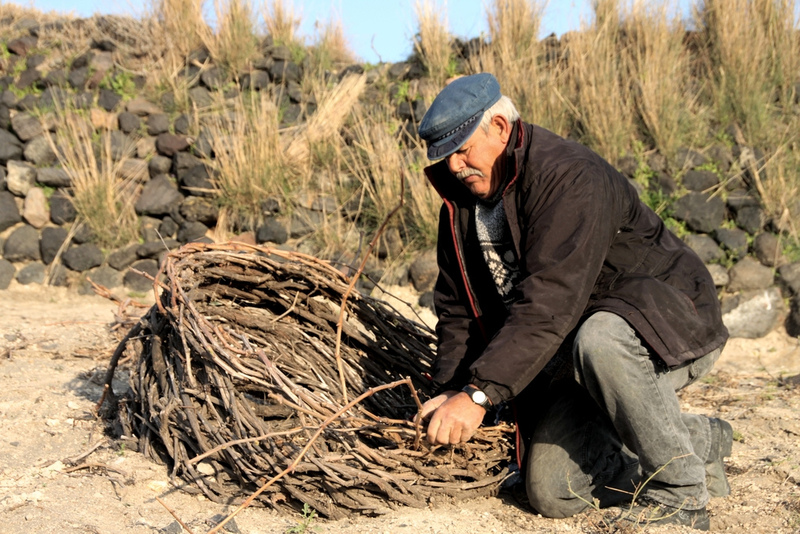 The distinct characteristic of the PDO Santorini vineyards is that the roots have penetrated deep into the island’s soil thus enabling for the renewal of old vines using cutting techniques which date back to antiquity. The vines resemble a woven basket which the locals call kouloures, however if you look closely you will notice that the baskets are deeply rooted into the soil, gently embracing their berries, thus protecting them from strong winds and the glistening sun until they fully ripen. Assyrtiko can well be described as Dionysus sacred plant. It has miraculously managed to adapt to the perplexed ecological environment and the island’s volcanic soil. There are over 60 grape varieties cultivated on Santorini, Assyrtiko has taken the center stage dominating 75 percent of the island’s terrain. Due to its important range of chemical composition and its ability to maintain its acidity as it ripens, Assyrtiko is used for the production of various types of wines ranging from white fresh and high-grade aged to sweet and semi-sweet as well as sparkling. 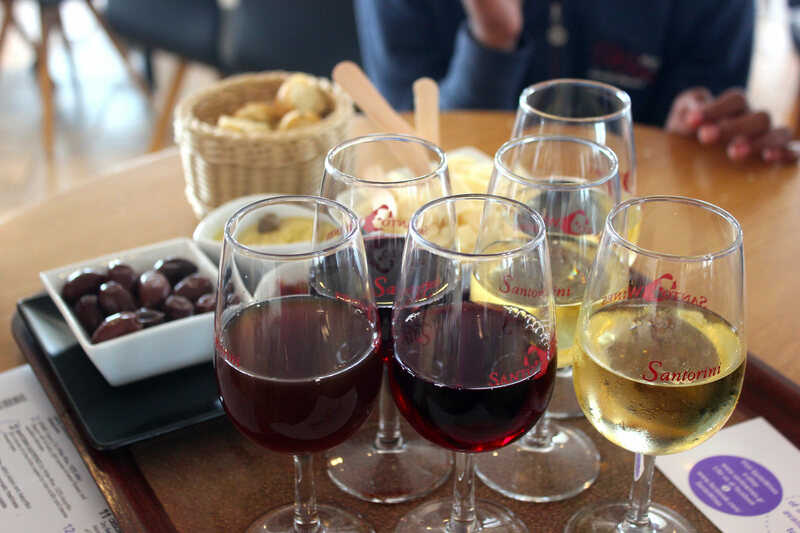 There are two distinct indicators used to categorize the dry wines and the dessert wines of Santorini. The dry white wines which are labeled as Nychteri are produced using overripe grapes and are aged in oak barrels for a period of minimum three months. The famous naturally sweet Vinsanto wine is made of overripe grapes using a mix of Assyrtiko, Aidani and Athiri grapes that are left in the sun to become desiccated following a maturing stage in an oak barrel for a period of minimum 24 months. Over the years, wine production on Santorini has taken a modern twist, connecting the past with the present which is portrayed in an abundant selection of modern experiences. 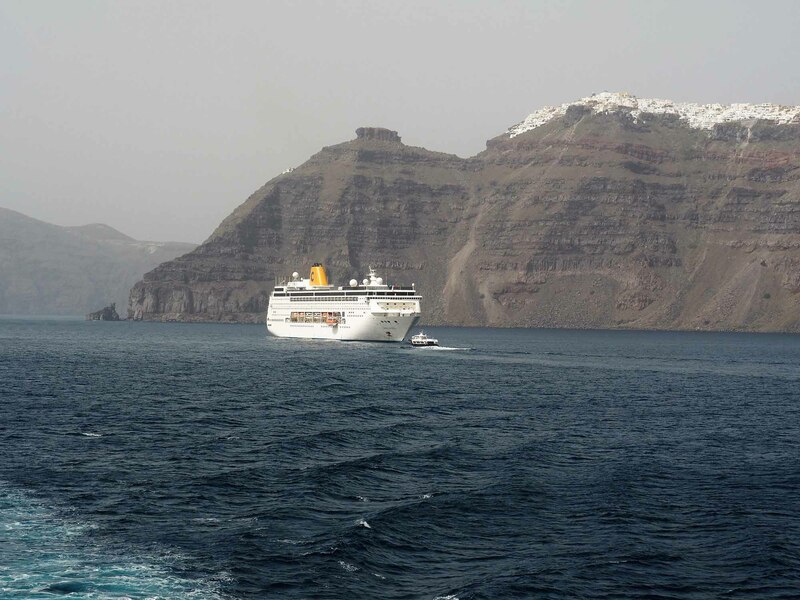 The comprehensive wine tourism experience began on Santorini in the early 1990s when the Boutari brothers invested into the construction of an innovative winery with a capacity of 2,000 tons where visitors can embark on the island’s historical journey. 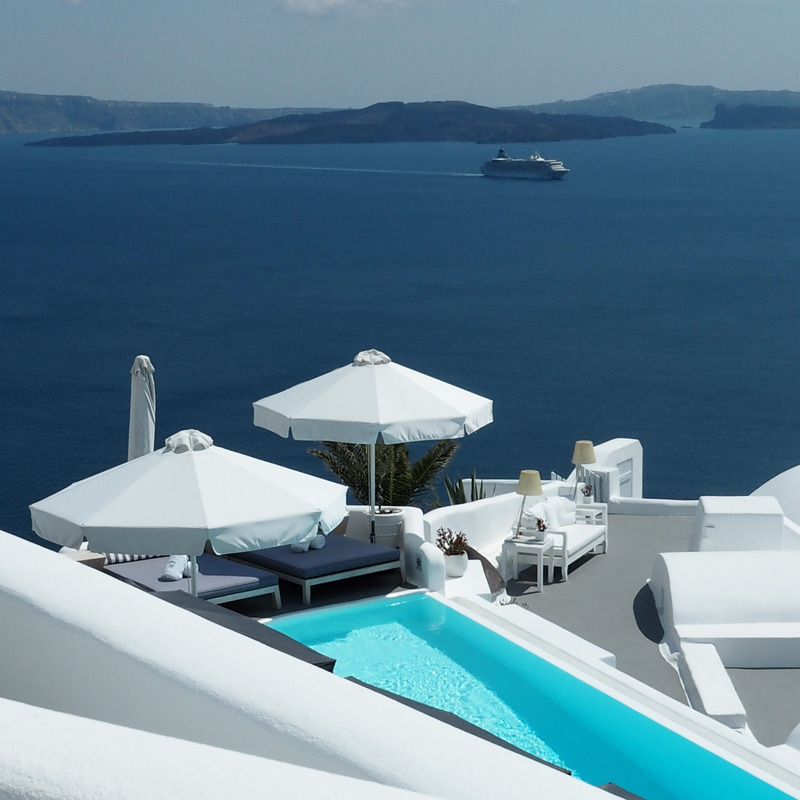 Others followed taking wine tourism on Santorini to an international level. Today, you can experience wine tasting in many different forms, from wine-tasting sessions accompanied by savoring local products, to bike tours through the vineyards as well as traditional feasts which usually take place during the harvesting season. If you find yourself on Santorini in October – the 22nd to be exact – you will be there just in time to celebrate the festival of Saint Averkios, the patron saint of wine. Can you think of a better experience than inhaling the fresh summer breeze, sipping fine Santorini wine and watching one of the world’s most famous sunsets disappear below the horizon? On your next trip to Santorini we will be happy to arrange your visit to PDO Santorini, one of the world’s most ancient vineyards.